The Minnesota Vikings and Van Wagner Sports & Entertainment have completed the New Stadium Preview Center adjacent to the stadium’s construction site and will open the space to the public (by appointment) later this week. Click here to view a photo gallery of the space. Located on the fifth floor of the 1010 Metrodome Square Building (1010 South 7th Street, Minneapolis, MN 55415), the 7,500 square-foot, state-of-the-art Preview Center is designed to give Vikings fans their first look at the future game experience within the new stadium set to open in July 2016. The interactive space, the largest ever built by an NFL team, overlooks the stadium construction site and includes a custom-filmed experiential player tunnel and Vikings locker room experience, two authentic suite build-outs, a 24-seat Club seating section, 37 high-definition televisions and seven interactive kiosks. The center also contains a 100:1 scale city-scape model and a 25:1 scale detailed architectural stadium model. Most importantly, visitors will have the opportunity to see 360-degree panaromic views from roughly 375 vantage points within the stadium. 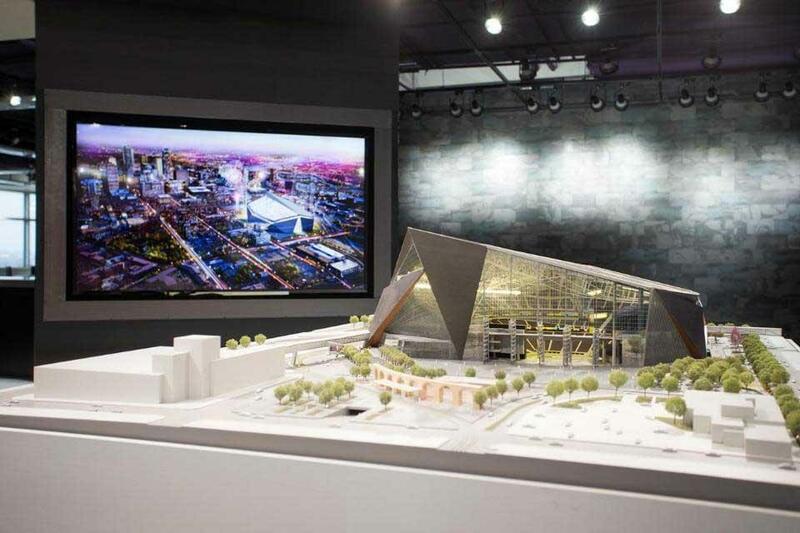 The Vikings are currently contacting Season Ticket Members and arranging appointments to tour the Preview Center. For more on the new stadium visit NewMinnesotaStadium.com.